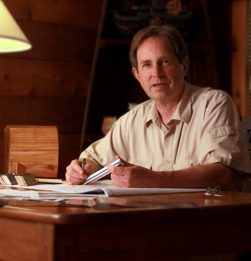 Once in awhile you find log homes that are truly beautiful architecture that lasts lifetimes. The log home you build now will be your legacy, the gathering place for family and friends for generations. To accomplish this, I must establish a relationship of trust and integrity that emphasize open communication and full creative expression—a true partnership between us. I strive to fully understand your unique needs, desires, and budget before I start to design your home. This may start with a visit to your building site so I can understand why you chose this special location and how I can respond to its unique character. Beyond inspired and technically leading edge design, I lead an inspired team of dedicated professionals. We don’t simply draft plans. We craft your ideas, your imagination, your future into a home that will truly inspire you… building your heritage now. 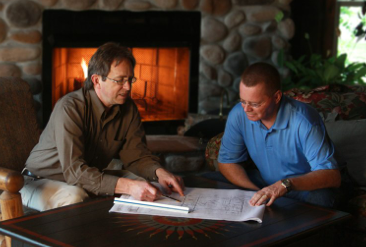 Our philosophy, experience and process allow us to work with individuals in all regions of North America and around the world to produce exceptional one-of-a-kind log and timber homes and structures using principles of timeless sustainable design. Our mission is to enrich the lives of our clients by providing meaningful design and consulting. When your home is complete, we want you feel like you have been respected and valued, that the entire design process has been enjoyable and rewarding.